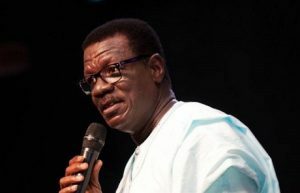 The Head Pastor of the International Central Gospel Church (ICGC), Pastor Mensa Otabil has admonished members of his church not to fight people who confront them with questions regarding the collapse of Capital Bank, an institution he chaired its governing board. “…These are the three statements I will make with regards to the response I want to give, which I expect you to carry along to explain what is happening. My first statement is that God is good, my second statement is that God is good and my third statement is that God is good,” he said when he preached at the church today, Sunday, August 19, 2018. He also told them not to respond with hatred. “The battle is the Lord’s. You don’t win your battles with hatred. You win your battles with praise and worship,” he added. 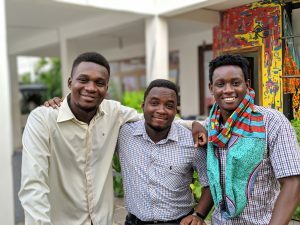 Capital Bank collapsed about a year ago together with UT bank whom the Bank of Ghana claimed had become “deeply insolvent” and were acquired by GCB bank. 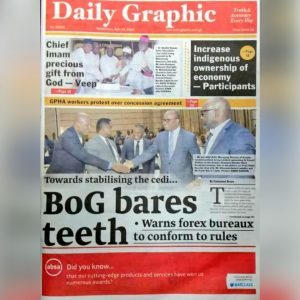 But a leaked report suggested that both banks squandered a GHc1.4 billion liquidity support they received from the central bank to sustain the banks. The report also claimed that Mensa Otabil who promised to have the indicted officials of the bank to refund the monies failed to do so. 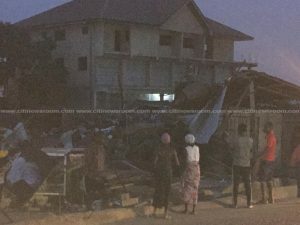 Pastor Otabil has come under intense pressure within the last few weeks following the leaked report with many calling for the prosecution of everyone involved in the collapsed bank. “I was therefore not involved in the day-to-day management and operations of the Bank. In the course of time, some decisions made turned out well while some did not turn out as well as had been anticipated. As far as I can tell, everything was done with the best of intentions and the interest of various stakeholders in mind,” his statement said. The post Tell my critics the ‘Lord is good’ – Otabil to ICGC members appeared first on Citi Newsroom.